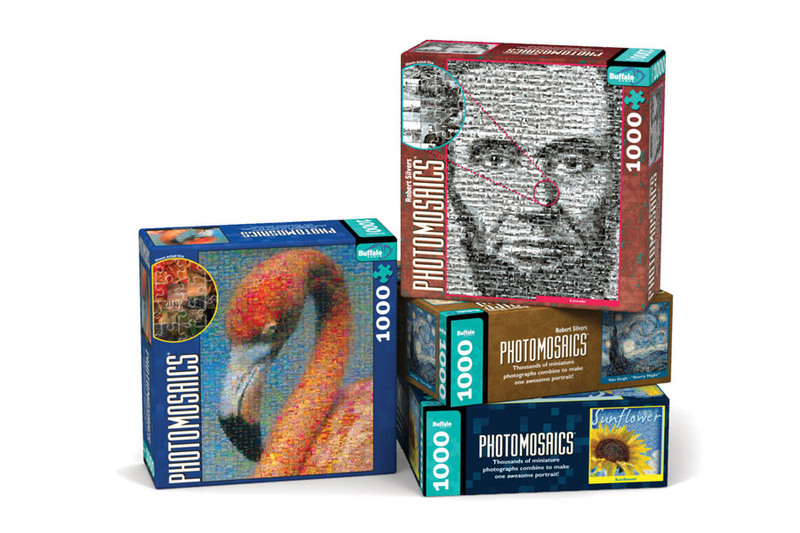 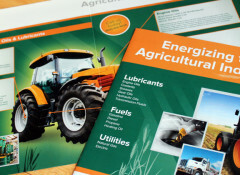 Create a package design for a jigsaw puzzle series. 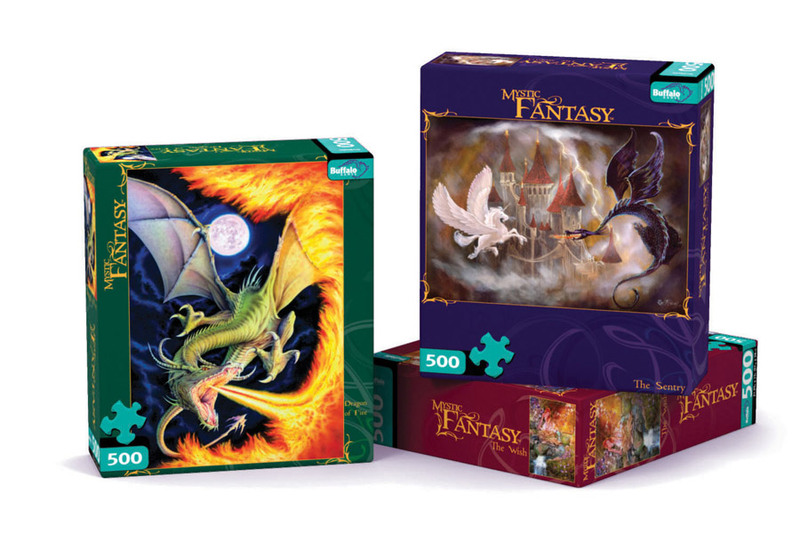 Create & design graphics for a fantasy art jigsaw puzzle series. 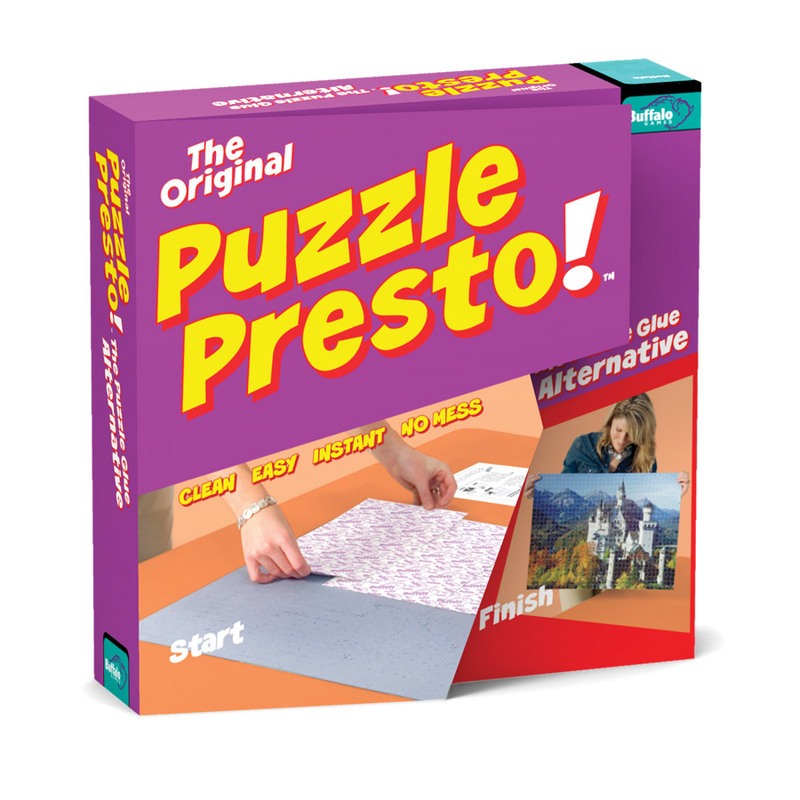 Create a new puzzle series, working with the Burpee company, that would appeal to puzzlers and gardeners. 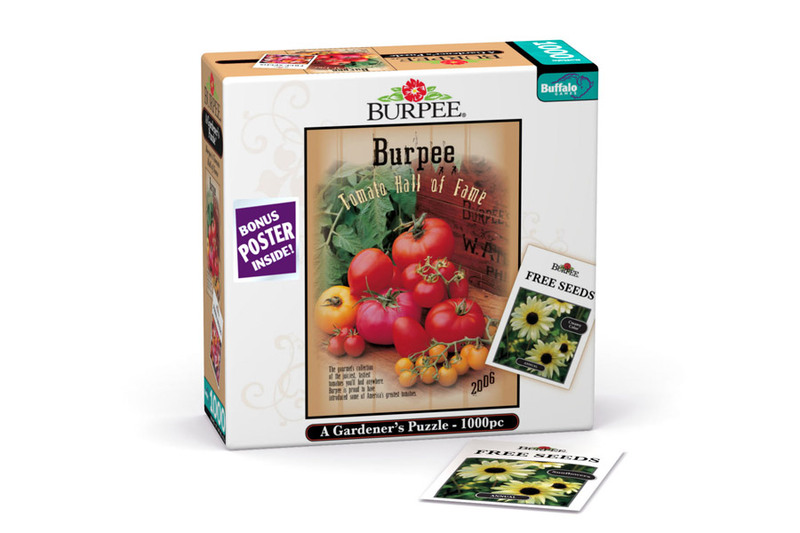 The package included a free seed pack, that Burpee provided as an added bonus. 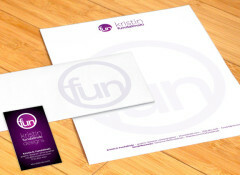 - Concept design, research, and collaberation with the Burpee company. 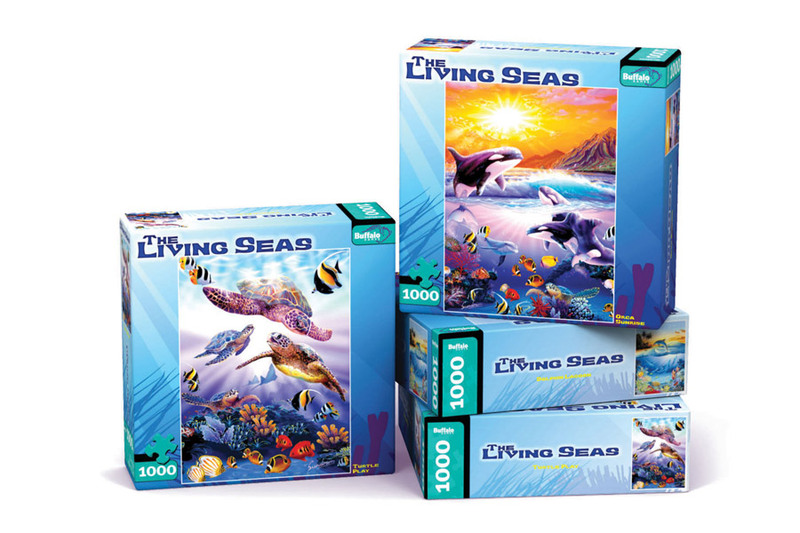 Create & design graphics for an aquatic jigsaw puzzle series that has a feeling of the ocean and sea.